PlayMakers: Company member in third year of UNC’s Professional Actor Training Program. Jump, Skeleton Crew, Tartuffe, Dot, Sense and Sensibility, My Fair Lady, Intimate Apparel, The Crucible. Regional: Shanelle has performed at Seattle Shakespeare Company, Village Theater and Coeur d’Alene Summer Theater, among others. 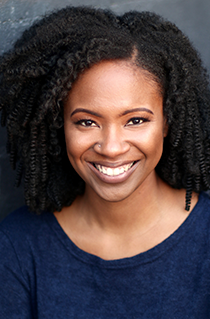 Education/Other: A 2012 graduate of Cornish College of the Arts, her favorite performances include Bessie in Eclipsed and Luna C in Oo-Bla-dee.